Great news for those of us who have issues with our weight and with our health and wellbeing. And that’s because losing weight – and that means losing weight safely, effectively and permanently – just became easier than you ever imagined. The Ketogenic Diet now offers you the most natural pathway to a slimmer, trimmer, fitter and healthier body than you ever thought possible. Based on a profound understanding of how our bodies have developed specifically o burn excess fat, the key to this amazing and wholly natural way of eating is to respect how our digestive systems prefer to be treated. By removing the harmful, toxic and unhealthy elements from our daily diet and following the superbly effective Ketogenic Principles, we can kick start our natural fat-burning metabolism and discover levels of healthy fitness inside a slimmer and stronger body that will make you smile every time you pass a mirror. 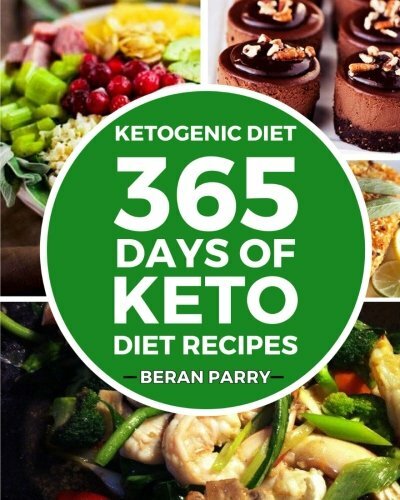 This excellent and comprehensive guide to the Ketogenic Diet, compiled and designed by leading nutritionist and wellbeing specialist, Beran Parry, has been aimed at the widest possible audience. Whether you’re completely new to Ketogenics or an experienced follower of the Principles, the book has been created to provide you with an entire year’s worth of daily recipes. That means 365 days of delicious and highly nutritious Ketogenic dishes. The world is suffering from an obesity epidemic and our health and wellbeing have been compromised by decades of inappropriate food choices. Now is the time to take a stand and undo the damage. The moment has finally arrived when we can enjoy our food to the max and still burn off the stubborn old belly fat.